The novel of immigration has emerged as an important genre in recent years, with such works as Francisco Ibanez-Carrasco’s Flesh Wounds and Purple Flowers and Dionne Brand’s In Another Place, Not Here heading a list of vital additions to Canadian literature. St. Vincent-born H. Nigel Thomas’s contribution to the genre, Behind the Face of Winter, ranks with the very best. 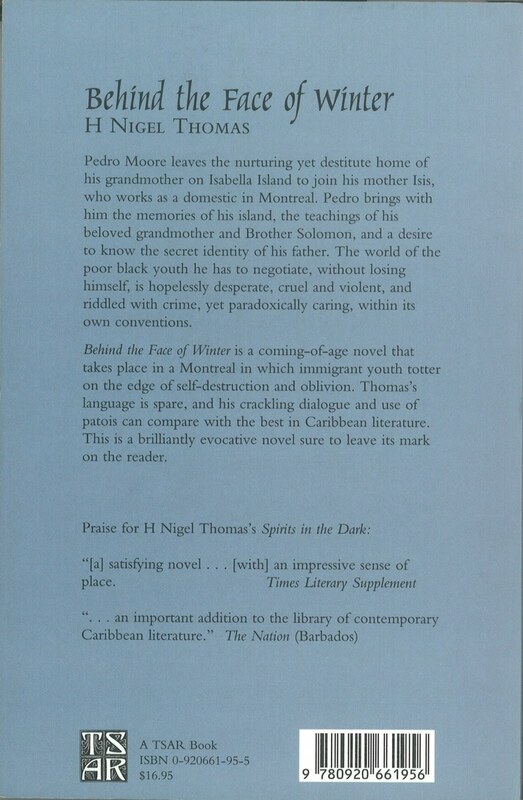 Set in Montreal and on the fictional Caribbean island of Isabella in the 1970s, the novel is the coming-of-age story of Pedro Moore, a perennial outsider and observer. At the age of 14, Pedro leaves the protective isolation of his grandmother’s house on Isabella to join his mother, whom he barely knows, in Canada. There he struggles for self-respect and self-knowledge in an often brutally hostile world, a struggle symbolically encapsulated in his attempts to solve the threatening mystery of his absent father’s identity. Behind the Face of Winter is a story about the destructive secrets we keep, even from ourselves, and the spiritual cost of keeping those secrets. It is also, of course, a story about the harshness of the immigrant life Pedro faces in Montreal – bad housing, bad jobs, unaccommodating educational systems, racist police forces. On another level, Thomas’s city of Montreal is as fictional (and as allegorical) as the island of Isabella, a metaphor for the lonely no-place of adolescence, a place where everyone is a fatherless outsider. It is a hard story, sometimes despairingly bleak, but it is also undeniably beautiful. Thomas’s first novel, Spirits in the Dark, was justly praised for its evocation of place, its conjuring of mood, and its fine character drawing. Behind the Face of Winter has the same strengths: it is worth reading – and rereading – for its descriptions of human faces alone. 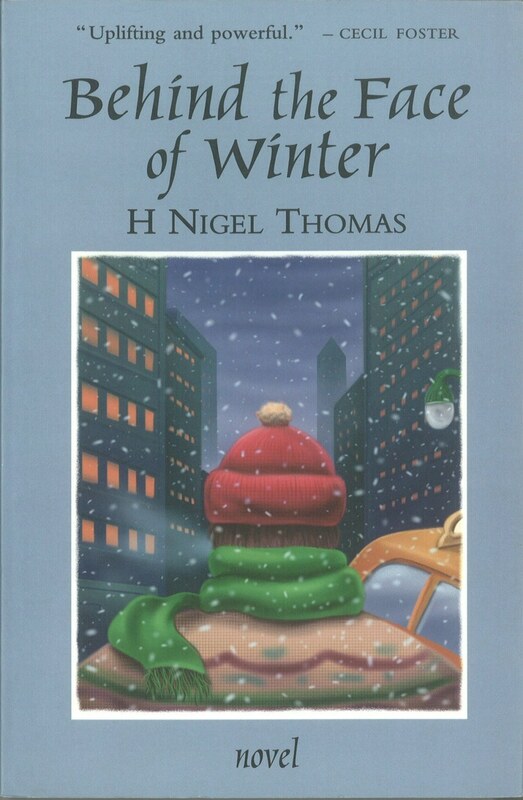 Thomas’s reproduction of the spoken word is also extraordinary; his observation of accent, register, and tone is so fine that every piece of dialogue plays out the broader themes of identity and belonging explored in the novel.